A few miles outside of Ozona Texas, known as the Biggest Little Town in Texas and the ONLY town in the entire county of Crockett - The Texas night is uuber dark...you can only see the briefest of outlines of the squat and scrappy trees by the glow of the headlights. The darkness literally flows as far as you can see. Quite a change from the daytime when you cannot escape the searing sun...it is in everything and everywhere, burning, scorching all in sight. We keep crossing bridges for nonexistent creeks. Herds of goats scavange for the tinest morsel of grass. As the miles and the ranches fly by, I wonder how anything continues to live out here. Seriously. It is 10 pm and 95 degrees. No really, I just saw the bank sign in Ozona. Elsie is unhappy in the heat. Man, it really is dark out here save the occassional cell antenna, which honestly does me no good. I haven't had service for near on 8 hours. They slowly flash red on and off just to mock me. Now the outlines are completely gone unless they fall in the path of our headlights. Wow, this is what it must have been like for the pioneers minus the headlights, Ozona, flashy cell towers, and hotels in the next town. We both sit lost in our own thoughts, partly cause the wind through the open windows makes it hard to hear but mostly cause there is not much to say about the darkness. So I stick my head out the window and look at the stars...the big dipper is right above me and so bright. I am grateful for the silence and the window breeze to cool the heat and the darkness. I am grateful for the darkness cause it also brings light. I reach for the fig newtons, my go to comfort food, and eat them as I hang out the window. The night wind whips through my already tangled hair. Only 69 miles left to go. After we left Charleston, we realized we were in a bit of a time crunch...aka get yer asses to Texas. We made the executive decision to put off TN and New Orleans for another trip. Our friends Tim and Mandee live outside of Atlanta so we headed there to shack up for two nights, replenish, refuel, hang out on the water in the boat and spend some quality time with our friends. Good food, cold beer, great friends...cant wait to go back. We left GA on July 2, slightly fearful of the housing situation because of the 4th holiday, and decided to get as far through Alabama and Mississippi as we could, avoiding interstates as much as possible. Alabama, as far as we could tell, consists of massive swaths of green puncuated by small communities with dried up, dying Main Streets. Not all but most. We took Highway 9, a scenic route according to Rand McNally, from I 20 out of GA, down to Birmingham. Our favorite things to point out are the abondoned, over grown gas stations with the old school pumps that once probably a thriving center of rural social life, now bake away their last years under the hot sun. I also wonder about the history of those old buildings. Not the big history but the small history, snippets of people's lives that are intertwined with the life of that old gas station. Who worked there pumping gas, who drove through on lonely highway 9, who met there for coffee or a cold bottle of coke, who fed their children from the small profit it brought? Lesson 1: Highways make you think the way interstates never can. We took a right at Montgomery on Highway 80 toward Selma, the reverse route of Martin Luther King, Jr's famous and pivotal marches for civil rights in 1963, I believe. It was cool and dark and felt as if ghosts of marchers past came out to greet us with the steam rising up from the hot road. I tried to explain to Julino the significance of Selma, the ugliness of racial segregation, the stain those times left on our country and the power of organizing but I just couldn't do it the justice it deserved. Our conversation turned to Brazil and its similar struggles in terms of race, with perhaps fewer atrocities at the hands of a mob. Unable to reconcile my limited deep understanding of the times, I turned the best all knowing source I had available by phone, Wikipedia. By the light of my phone, in the dark of the Alabama night, speeding down highway 80, I regaled Juliano with histories of Selma and the Freedom Riders, their tragedies, their triumphs, the horror and the determination, the ugly side of this country and the change that keeps coming...just in time for the 4th of July, an irony that wasn't lost on me. Lesson 2: Know your history and remember why it is important. We drove til we hit Meridian, MS just over the Alabama border and pulled over at the first crappy hotel we saw, Blanks Motel. It was run by a small Indian woman and cost a flat $35 for the night. What luck, within our budget! It had a king sized bed, smelled like smoke and the shower head flew off as Juliano started the water...but hey it had tv and ac. We slept sound, woke up at a decent hour to head through the rest of MS and on into LA. As we drove through the town looking for Highway 11, we passed no less than four other better motels for less than $29.99. BAH!! Of course....what is a mere $5 you say? Well we've figured out how to eat for an entire day for $5 so it is not quite as mere as one would think. Lesson 3: Crappy motels come in bunches so don't always go for the first one. If all you need is a bed and a shower, $22.99 will do. Bye for now from hot highway 11 in the backwoods of Mississippi. I am writing this post out of order; there is so much stuff you share and we are keeping copious notes, BUT I really felt the need to share this now. First, expect these pics and posts soon: Washington DC, Assateague Island National Seashore, Virginia Beach and more Outer Banks. This memory comes from our last night on the Outer Banks, the reef of barrier islands off the coast of North Carolina. We had taken the free ferry from Hatteras over to Ocracoke, the last island making up the Cape Hatteras National Seashore. Landing at the top of the island, we wound our way down, about 12 miles, to Ocracoke Village. The village is ruled by golf carts and bicycles, both of which you can rent, and is populated with non-chain motels, surf shops, food markets, and gift stores of every kind. A favorite spot of Blackbeard the pirate, this small town is teeming with people in the summer months, looking to take advantage of the beautiful beaches, surf the waves, soak up the history and explore the back roads and byways of this quaint town. It reminds me a lot of Bar Harbor. This is the real start of my story. We were in Ocracoke only one day and night and stayed the National Park a couple of miles from the village. We decided not to pitch a tent since we were only staying one night and the breeze was strong, meaning sleeping in Elsie wouldn't be so hot. What we didn't take into account: the massive number of mosquitos waiting for us. When sleeping in Elsie, we use the mosquito net my brother Rob gave us and put it over the hatch and tailgate. It doesn't quite secure but we tuck it in enough to make it work. Problem was this night, that the skeeters were already out and in the car as we were putting it up. They were everywhere. As such, we were forced to share a dinner of jerky, tortilla chips with cream cheese and a warm coke, cramped inside Elsie since we didn't dare step outside to cook or even get more rations. As it was, I hardly drank anything since I always need to pee in the middle of the night and this night, I wasn't willing to risk it. So we ate, killed mosquitos and sent them to what we dubbed the Mosquito Graveyard of the Atlantic. Having just visited the Graveyard of the Atlantic Museum, which features ship wreaks from the Outer Banks, the name seemed funny at the time. I was on skeeter watch with my little flashlight and Julz was the gravedigger. We laugh about it right now but at the time it sucked. But as with all things in life, with the bad comes the glorious, the amazing, the wonderous, the all that is right with the world. Flashlights out, heads back on the pillows, we took in the dark night sky and all her stars, through Elsie's big back window. It was so dark; skeeters and stars, there ain't nothing like it. About 3:30 AM, mother nature let loose with the more amazing heat lightening storm. Layer after layer of clouds lit up as electric fingers reached out across the night sky from horizon to horizon. I just laid there in awe, scratching and cursing the bugs, and feeling grateful for just being there in that very moment of my life - the lightening, the high moon and bright stars, the skeeters and their graveyard, Elsie our sweet work horse, and my love, beside me scratching away in his sleep. If grateful not now, then when? I decided at that moment that the when has to be every minute of everyday from here on out. Not sure how much sleep I got, but we up about an hour and a half later with full bladders and a car full of damn skeeters. My forehead was sporting a bite about the size of a quarter. As we rushed to pack up, praying they would let us on the earlier ferry to the mainland, we were given on last Outer Banks gift - a glorious sunrise for our one year anniversary. I can't remember the last time I saw the sunrise; why have I waited so long. As the oranges, hot pinks, yellows, salmon, white hot ball of life that provides so much rose effortlessly as it has done millions of times before in its lifetime, we marveled at the color, the splendor, our luck, slapped more skeeters and scampered off in the car in search of coffee. Thankfully, they let us on the ferry. I just figured out how to blog from my phone to the blog, which means that we can blog quite literally from the road instead of waiting til we get a good wifi. Not sure how to post a photo but that will be the next step. Today Virginia Beach boardwalk with my girlfriend from WAY back, Shara. Tonight, First Landing State Park and tomorrow, more flashback blogging to get you caught up! Thanks for following us. Well we are currently in Maryland on the way to Virginia...we have been through seven states thus far and have met amazing people at each stop - our friend Nancy in Washington DC, great camp mates on Assateague Island National Seashore, and really nice hotel dudes keeping the pool open for us late in Pocomoke City. More to come as we find good WiFi....but in the meantime you can check out our trip and photos on Facebook at From Boston to Brazil! Hope you join us! 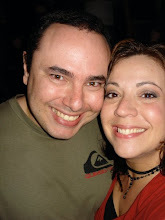 So folks, it had been a while since I last wrote...we were busy organizing our lives. Is it ever really organized..honestly? None the less, I have been lax but now I am back. Here is a recap of our regroup. 1. 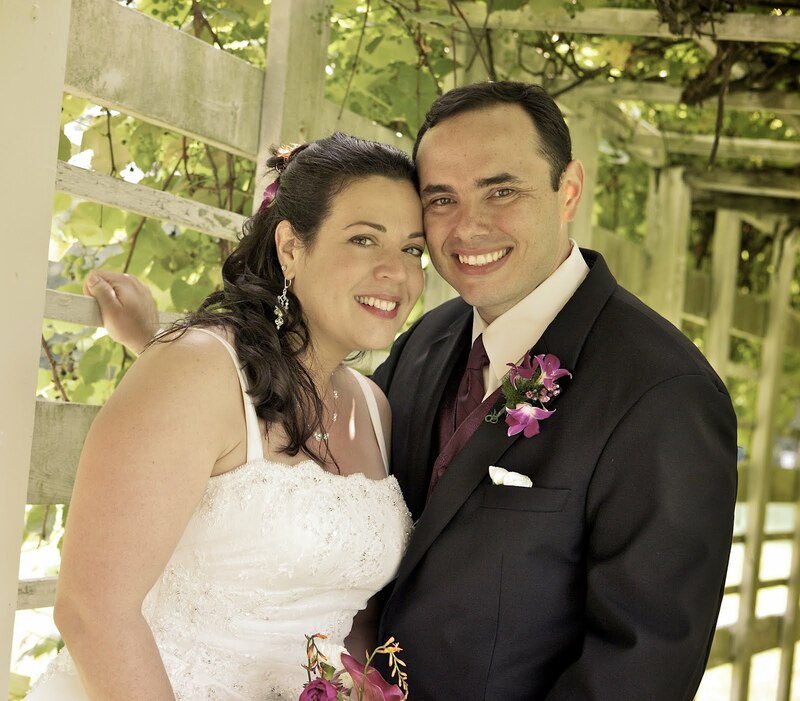 Juliano and I were married June 27, 2010 at the Commander's Mansion in Watertown, MA, almost one year now. 2. 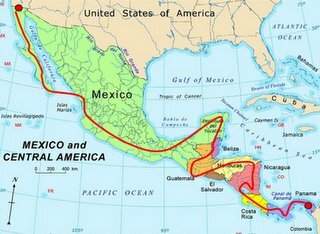 We decided to completely revamp our lives, quit our jobs, move to California and spend 9 months traveling for our honeymoon - first across country and then through Central America and on to South America. 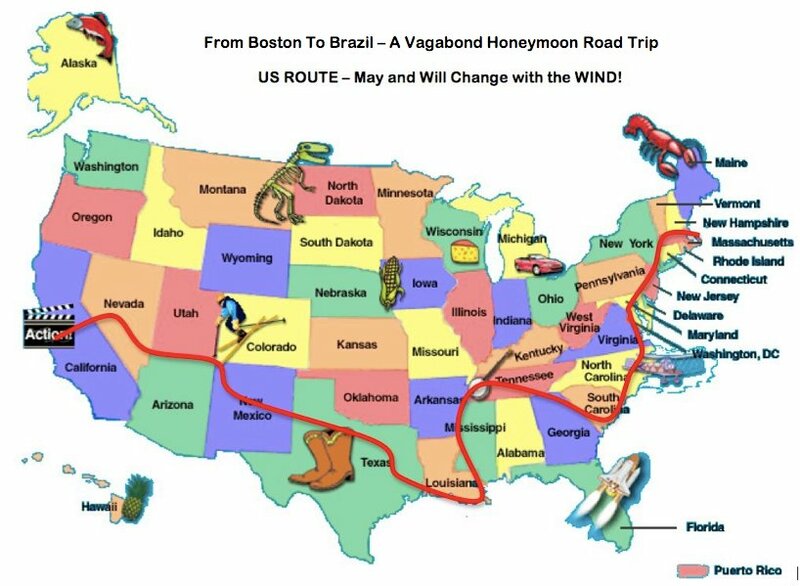 You can become a fan of our travel page on Facebook: From Boston to Brazil, Our Vagabond Honeymoon Roadtrip. 3. 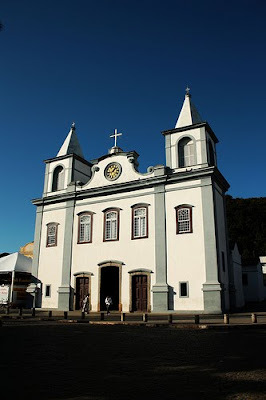 At the end of our honeymoon, we are getting married again in Laguna, SC, Brazil in Juliano's family church, where his parents were also married. Ironic I know, going on a honeymoon to get married. 4. 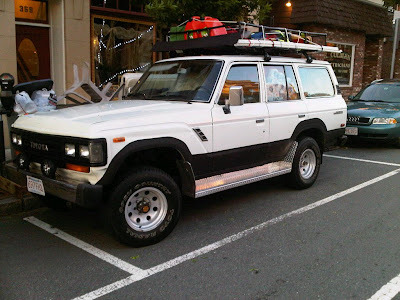 In February of 2010, we purchased a white 1989 Toyota Land Cruiser and named her Elsie. She needed a lot of work and she was at the mechanics' shop for a long time. She is awesome. 5. As of May 1, 2011, we had both quit our jobs and spent the next month packing our house to move and packing our backpacks for a 9 month road trip: 3-4 weeks across country to California and then 3.5 months driving down to Panama, flying to Brazil and spending another 2 months hanging out on the beach. 5a. 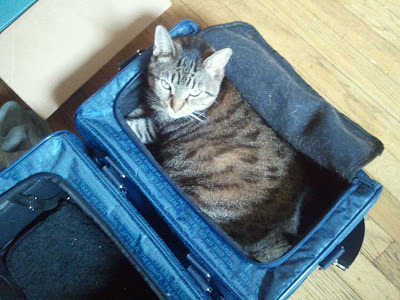 We also flew our two kitties to CA to stay with my step-mother. Agony for me. 6. 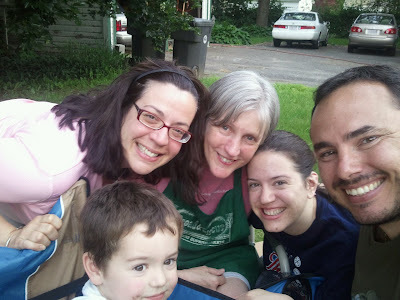 As of June 2, 2011 we moved out of our home in Cambridge, MA. We sold the majority of our belongings, the furniture and home decor, and stored everything else in my mom's attic. 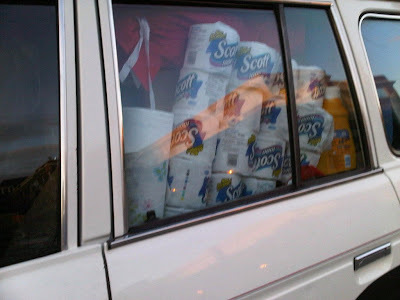 We packed up Elsie and the Gray Goose (the gray Honda), bid goodbye to friends and off we went....TP and all. 7. And as of today, we are at my mother's house in Western Mass waiting for the last check up of Elsie and final trip prep. We also have to build a platform bed to put in the back of the car. Until then, we are enjoying time with our family until we have to shove off. 8. Our cross country trip begins in Washington DC and from there, it is up to the wind. So there you have it...we are ready to go, scared to go, need to go. It would be really easy to stay and make good excuses as to why we could and should...but truth is we have run out of excuses to keep us here and we no longer have a house of our own other than our Elsie. So I guess that is a good enough reason. Today is Thursday, we plan to be out of here by Monday at the latest. 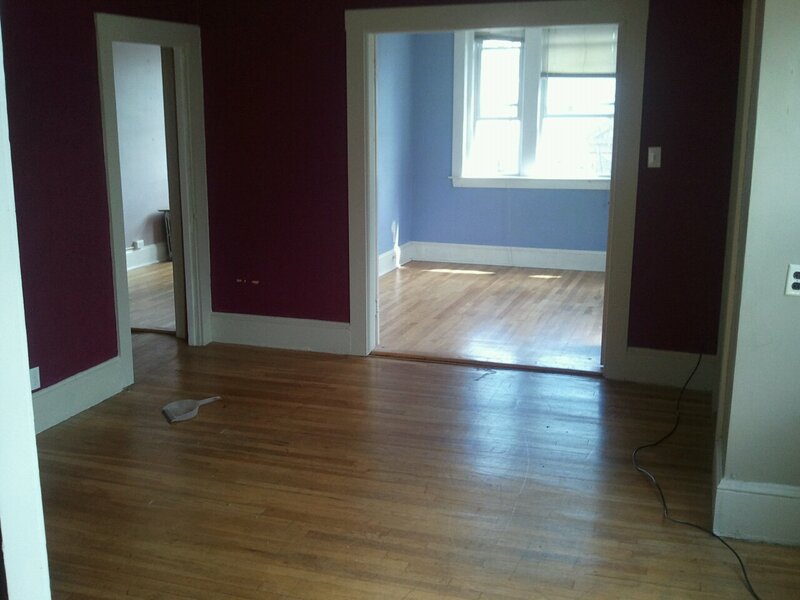 More on our retrofitting projects in the next few days. Be well. Be Epic.